Please include which turbo and wastegate you are using specifically in the notes, so we can be sure to have the right V-band attached! Results are in!! 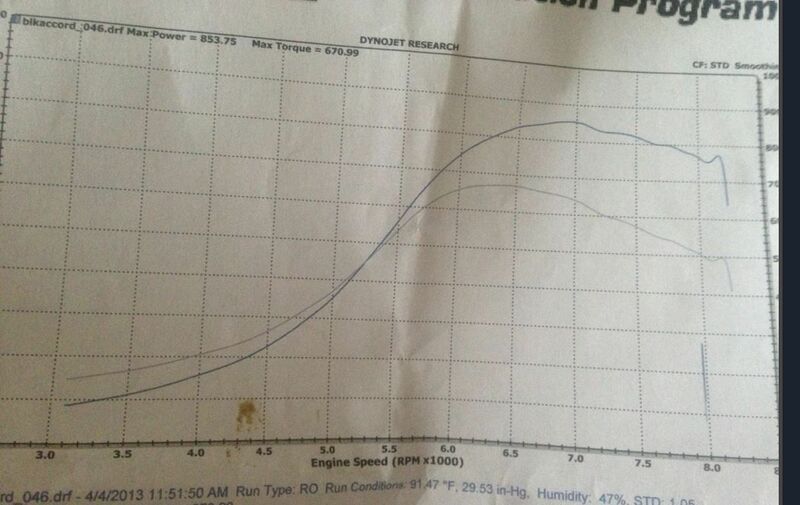 853 rwhp and 690 ft.lbs of torque from the ProSeries V-Band manifold! Half the price of the HKS manifold and more power across the spectrum, more torque across the spectrum!! Our team at SupraStore.com has been involved in the 2JZ world for quite some time, with our founder--Mark, owning the first stock block 1000 HP Supra in the world--all the way back in 2000! 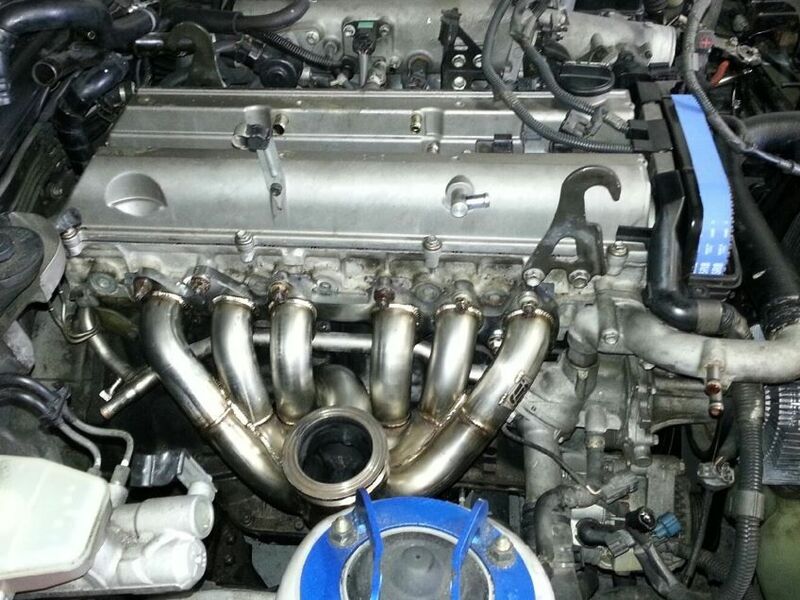 For years, people have been asking "why must I pay $1,700+ for a quality single turbo manifold?" I understand it takes time to engineer, test-fit, build a prototype, then build a jig, just to offer a header. This costs money and quality fabricators (check out our x-ray verified welds!!) are not cheap either. 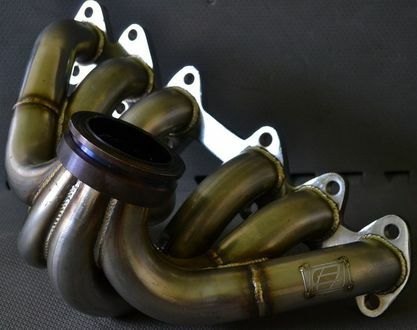 Our goal was under $1,000 for a world-class, hand-made manifold for the Supra community, which we have been a part of longer than any business on the planet. Our 304SS TIG welded 2JZ "V-Band Large Tube" exhaust manifold scavenges like none other on the market, with efficient runner designs and a proven collector--designed and built by us. Since we build our own collector, we can design any turbo mounting flange configuration, and this set-up is for V-Band mounted turbos (GT42 style and HKS T51R). They are finished in a stainless "raw-look", but we can ceramic coat them at extra cost, if that is what you require. They are robust, handle heat cycles correctly, and we also include a 3 year warranty on all ProSeries exhaust manifolds sold! The No. 1 runner is designed differently over our standard ProSeries manifold with a lower swept design to the number one runner. The overall turbo collector region is reconfigured to sit over 1/2" lower in the engine bay, to provide maximum clearance for larger compressor cover turbochargers, while at the same time providing for an efficient overall layout. The design clears the shock tower and is the single best value for a manifold specifically designed for the traditional T51R, GT42 or GT45 style turbos that utilize a Vband footprint for mounting the turbo to the manifold. 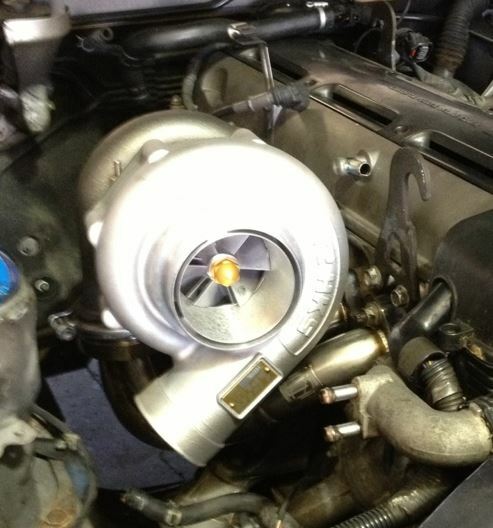 This version is designed specifically for higher horsepower turbochargers that utilize mid-frame or larger compressor housing diameters (8.5"-10"). It is also designed to accommodate the TiAL Stainless Steel V-Band Exhaust Housing (GT 42 style), and the HKS T51R fits perfectly as well. Fitment is perfect, so why spend $2,000+ on a mid-frame manifold, when ours is just as nice, flows incredibly well and is priced at lower than half? It takes us about 14-18 days to build our V-band style manifolds, so plan accordingly. If you selected the optional Screamer Pipe for your waste gate, please lets us know in the 'comments' section of your order from the brand and size of your waste gate, so we can build that for you. If you desire another type of flange, please email us to confirm.